French company SOCARENAM is a specialized shipyard that products a large range of ships from 15 to 80 meters. 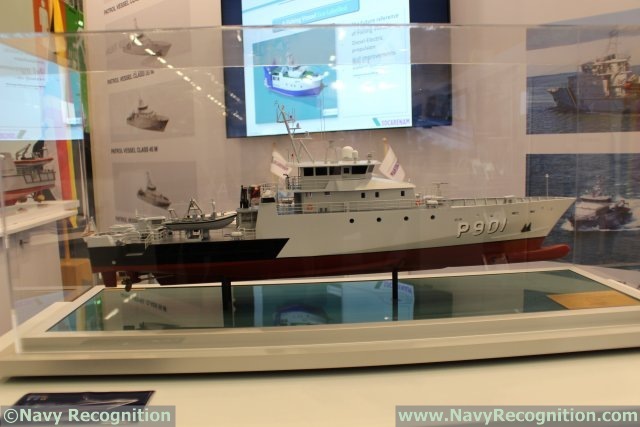 At EURONAVAL 2014, SOCARENAM highlights its Patrol Vessel Range. 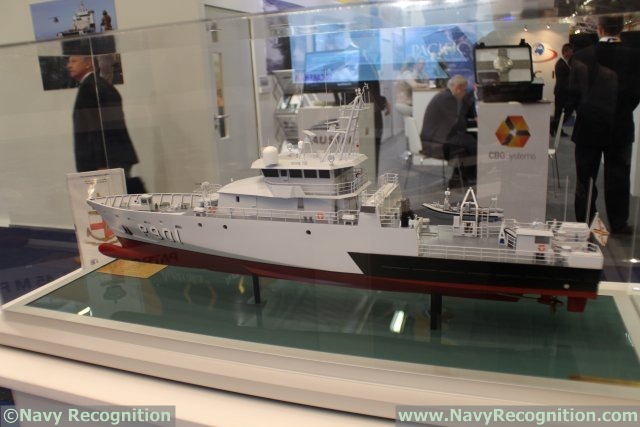 This design was chosen by the Naval Component of the Belgian Navy for the Ready Duty Ship (RDS) program. The first RDS, the P901 Castor was delivered in July 2014. The second, the Pollux will join its sister-ship in the first half of 2015. SOCARENAM (Sociéte Calaisienne de Réparation Navale et Mécanique) has a long experienced in ship construction. Over 250 ships have been delivered by the yard for the national and international market. The shipyard produced military ships as well as civilian ships. 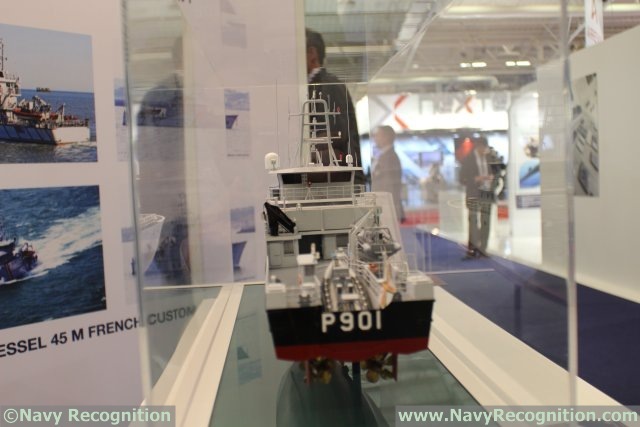 The RDS in service in Belgian Navy is a derivative from the Patrol Vessel Range "45m". Two ships of this class, delivered in 2007 and 2008, are in service in the French Customs authority. The hull of the Belgian ship is made of steel and the superstructure is in aluminium. RDS are 53.5 m long and have a displacement of 569 tons. Its tank carries 70m³ of fuel for its diesel engines. Its maximum speed is 22 knots and it has a maximum range of more than 4.500 miles at 12 knots. The missions of the RDS are the EEZ (exclusive economic zone) surveillance, illegal fishing control, search and rescue, trafficking and fight against pollution. For its missions, the ship has a crew of 15 and can take about 18 passengers aboard. Two RHIB, one 9 m in length and one 7.5 m, are placed at the back of the RDS. The ship also features a panoramic (360°) bridge and a 12.7 mm remotely operated machine gun. SOCARENAM offers a whole range of patrol vessel range ship, from the 32 m to the 60 m.
At EURONAVAL 2014, SOCARENAM is exhibiting in stand F16-G19.